For centuries the East End of London was synonymous with poverty and brutal labor, with Cockney solidarity and popular protest. The poverty is still there but now—once again—East London is beginning to reshape itself. Fashionable riverside restaurants multiply and shining new office buildings spread south toward the Millennium Dome. Now the term “East End” begins to have a different ring. Alan Palmer takes us back through four centuries of life in this great melting pot, which was once the very center of Empire trade. Both people and goods have flowed in and out of it, from the Huguenot weavers of the seventeenth century to the Indians, Pakistanis and Bangladeshis of today. Its story is one of extremes—of narrow, dingy streets and grand Hawksmoor churches, of great social campaigners, and out-and-out criminals like the Krays. 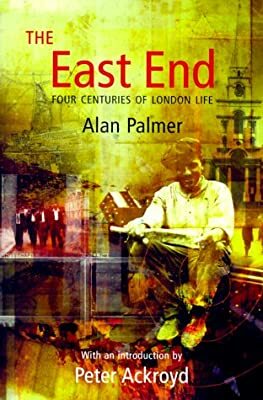 This fascinating book, with an introduction by London’s great chronicler Peter Ackroyd, captures the spirit of the East End and its people, of those who have left their mark on it and those whose lives were marked by it forever.